guys enjoy a good Challenge! a stamp from Victorine Originals if you don't have one! 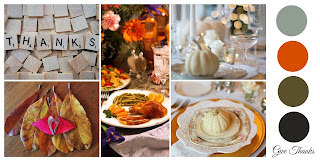 All the rules for this fun challenge are RIGHT HERE! Such an elegant card! 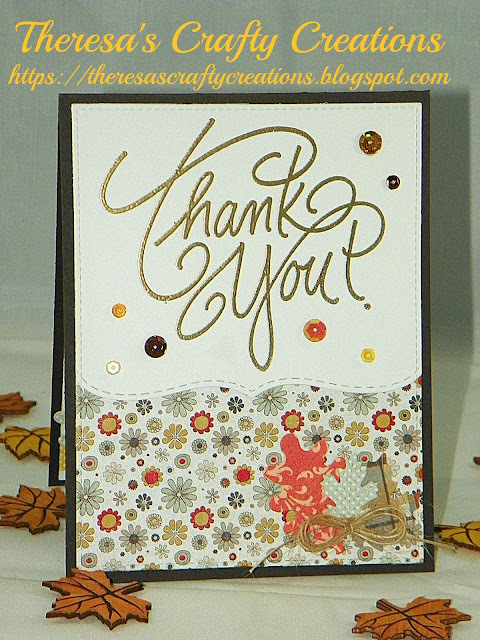 I love the embossing and the warm fall colors you used. This is so pretty! I have to get into town next week, I have a package for you!! The gold really goes well with the pretty fall colors. I love the plain white on top of the tiny print! Gorgeous card! The gold brings such an elegance to your card design! The colors you used are perfect for fall! I am finally getting a chance to check out all of your creations from this week and trying to get caught up after being out of town all week long! Hope you are having a lovely weekend! beautiful card, fall colours are so royal. Gorgeous card! I love the pretty papers, dies and fall colors! What a BEAUTIFUL card, Theresa!! I love the pretty papers and the colors you used!! Have a great day. So beautiful! What a great sentiment stamp! Love this! This is a lovely card! That stitched diecut creates such a beautiful effect! !